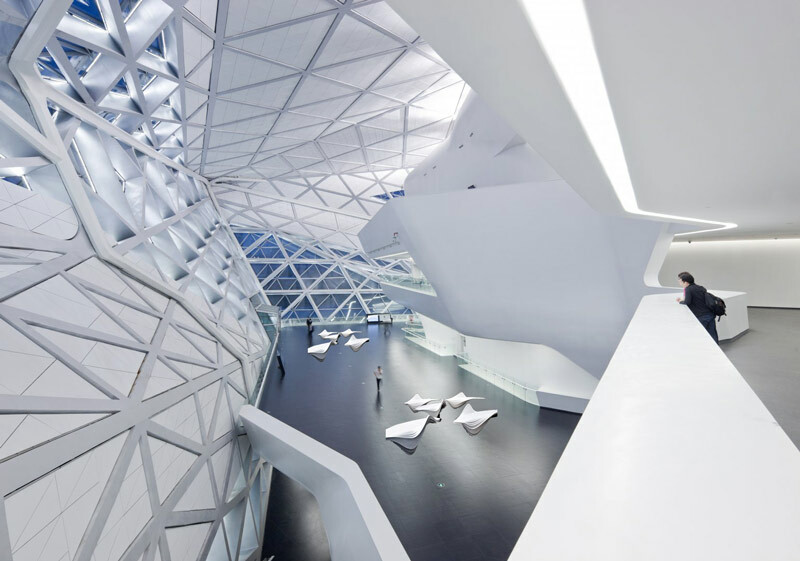 Array is a matrix in the language of science and is perfectly inclined to describe the new auditorium seating system designed by Zaha Hadid for Poltrona Frau Contract as it creates a network of visual and geometrical effects in each seating area. 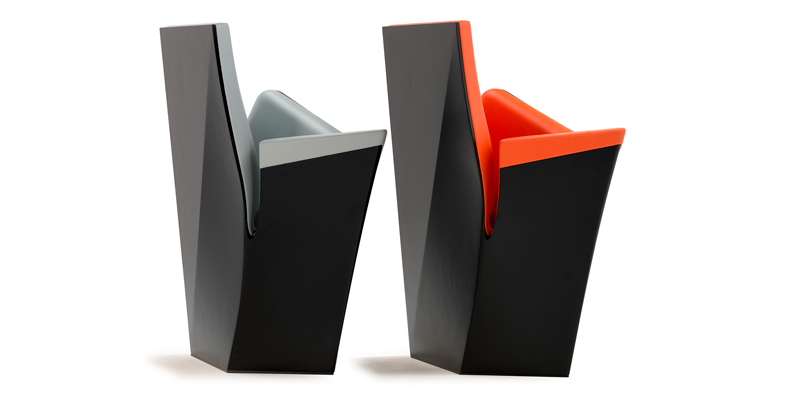 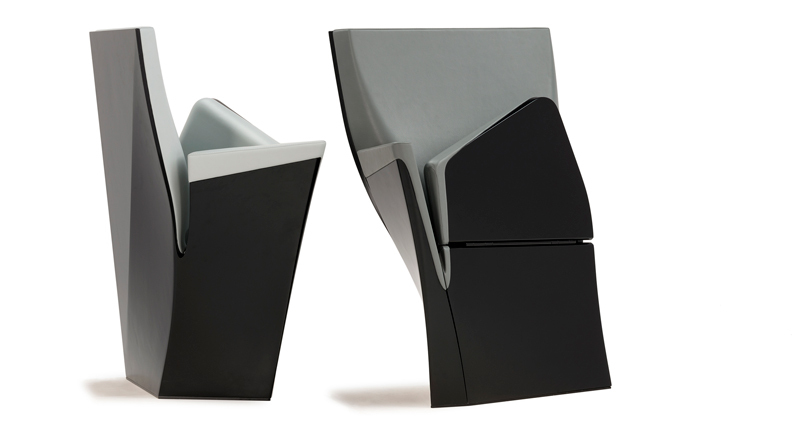 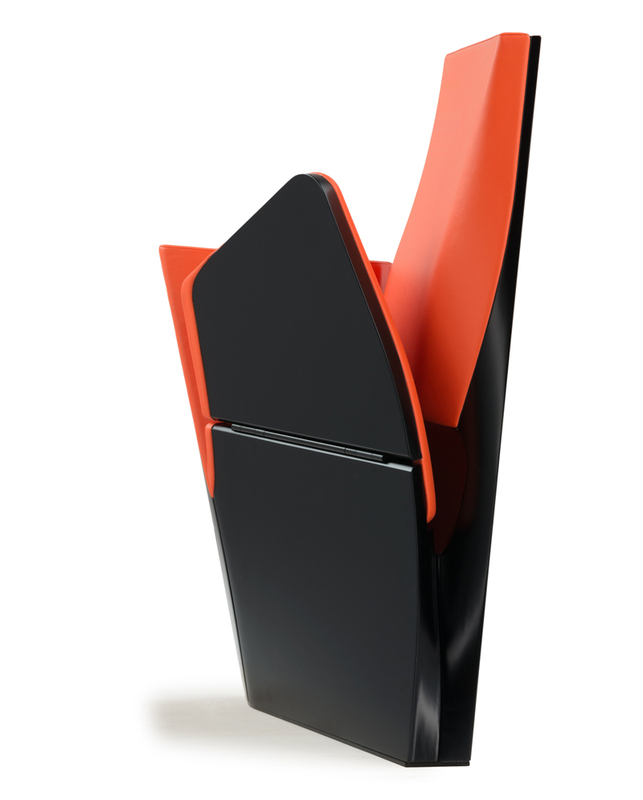 The project breaks the mould of traditional auditorium and theatre seating system. 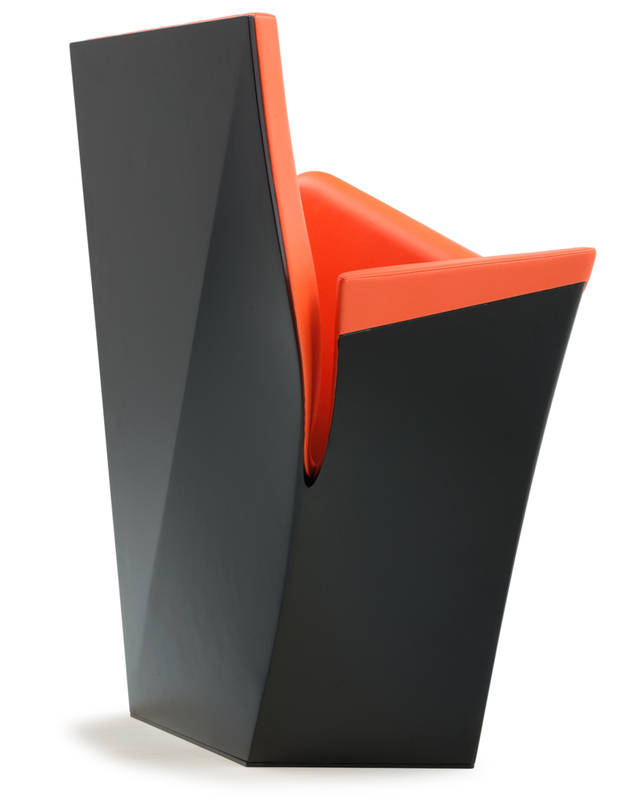 Array is a single, compact, dynamic unit. 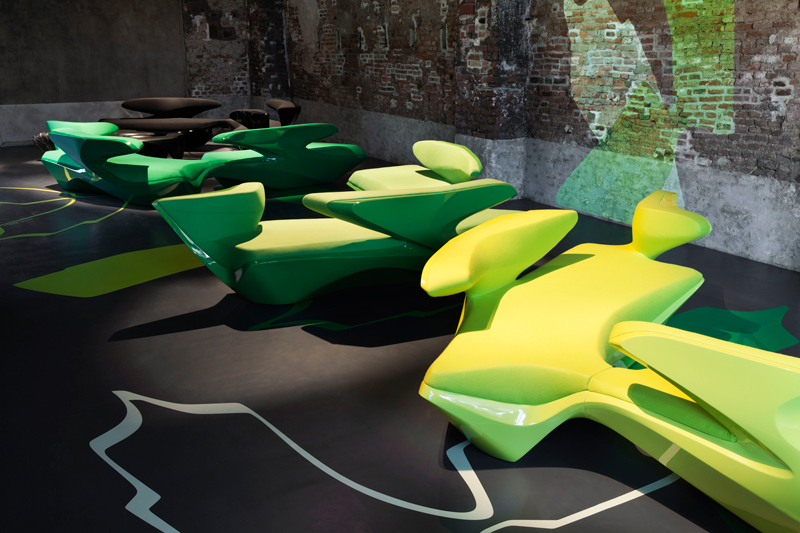 It is a self-rotating structure built on the principles of Euclidean geometry with back, arms and seating appearing to form a single flower bud ready to burst open. 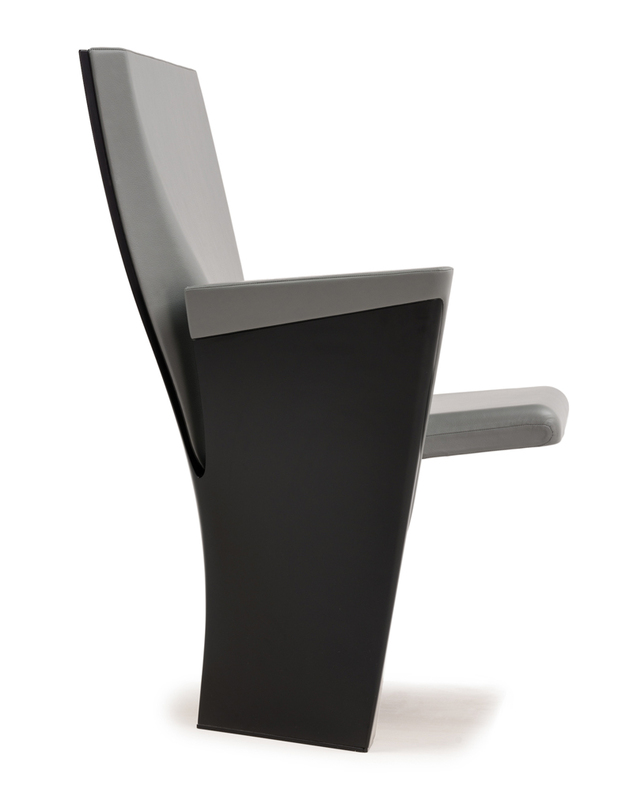 It disrupts the traditional visual monotony of rows after row of seats. 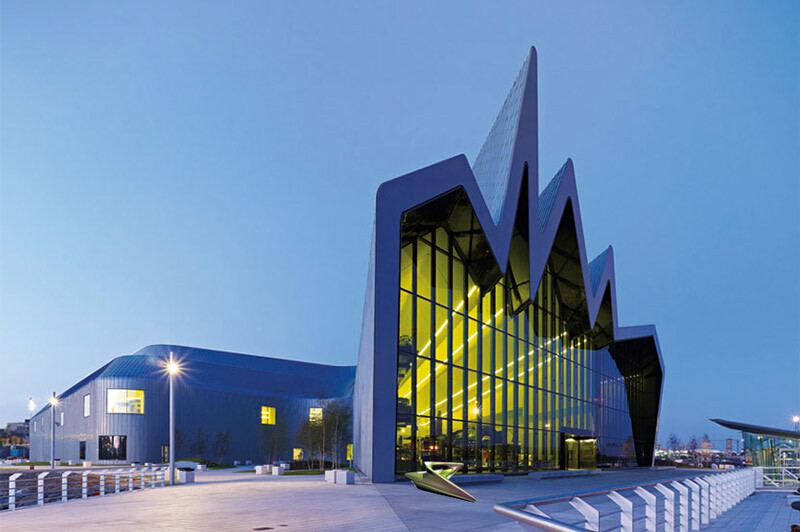 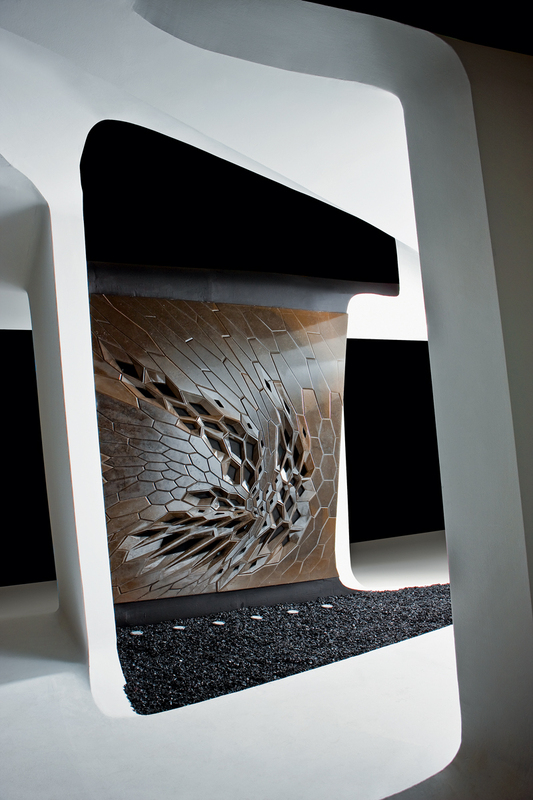 The design incorporates sculptural angles to create a range of unique visual effects that change according to the viewer’s vantage point and transform the theatre into a welcoming self-contained place. 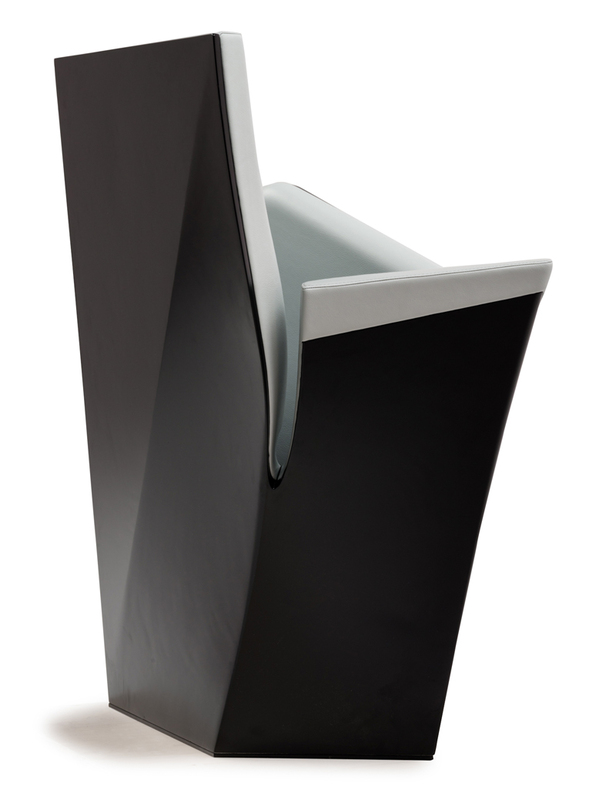 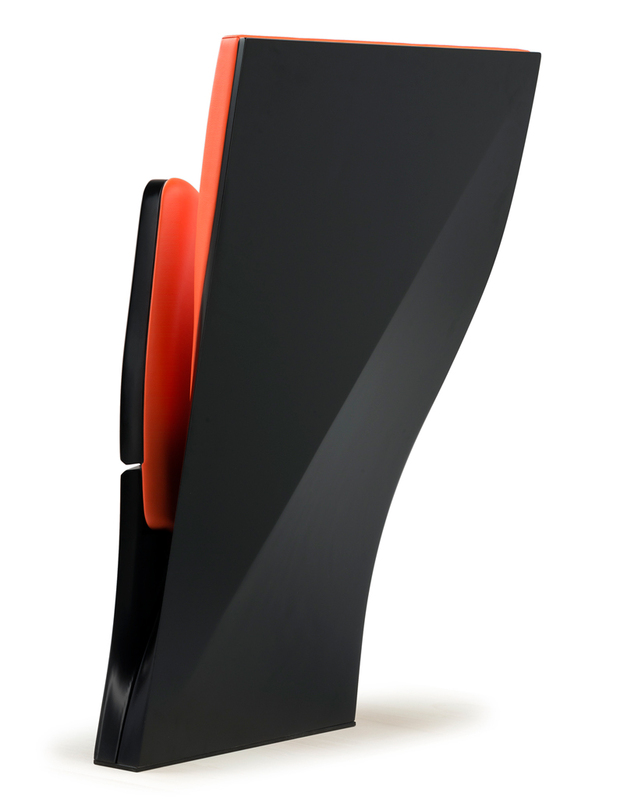 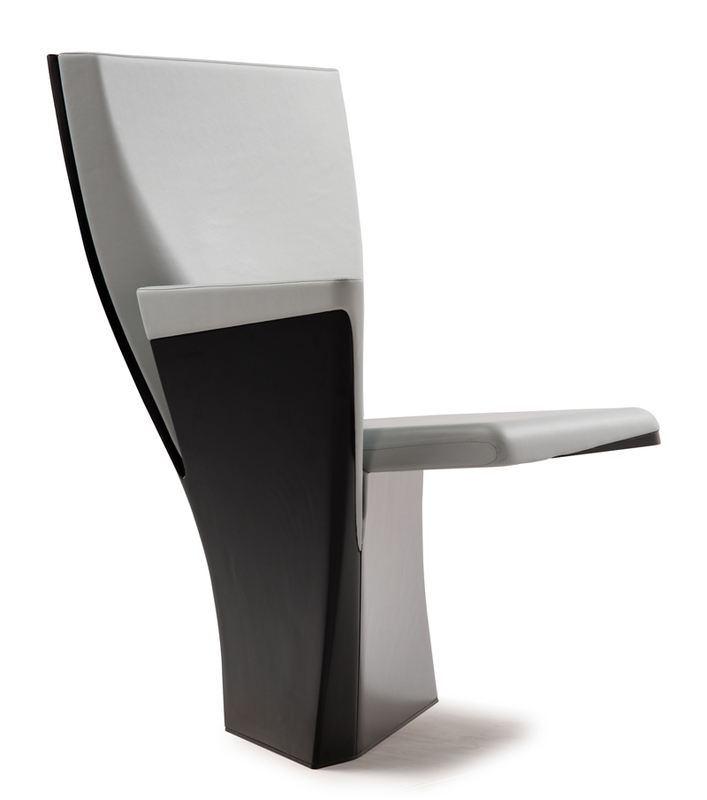 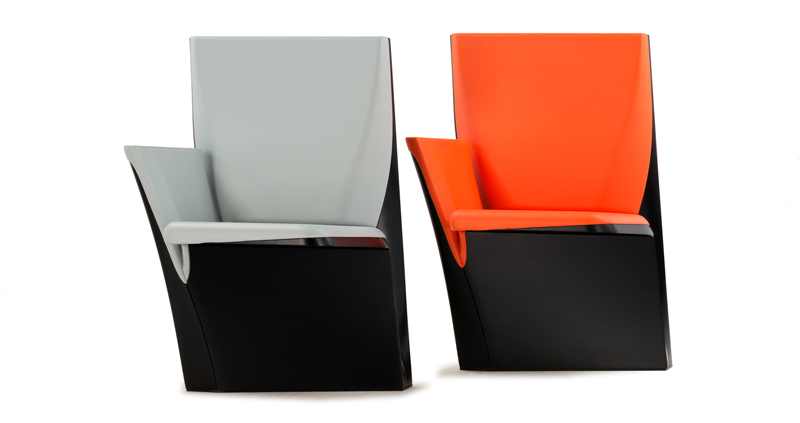 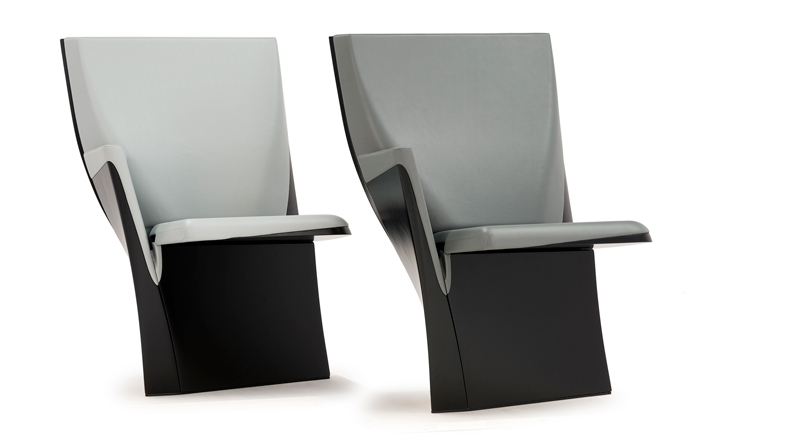 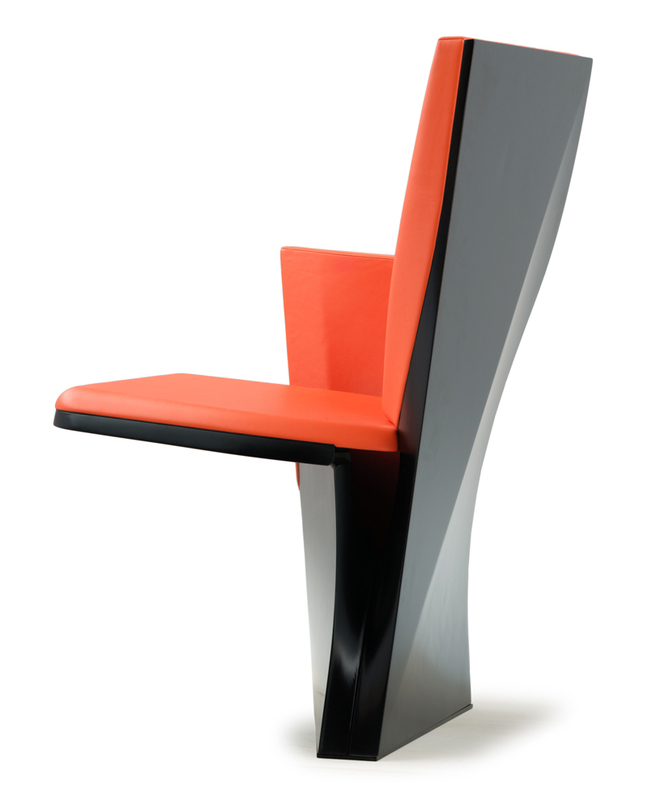 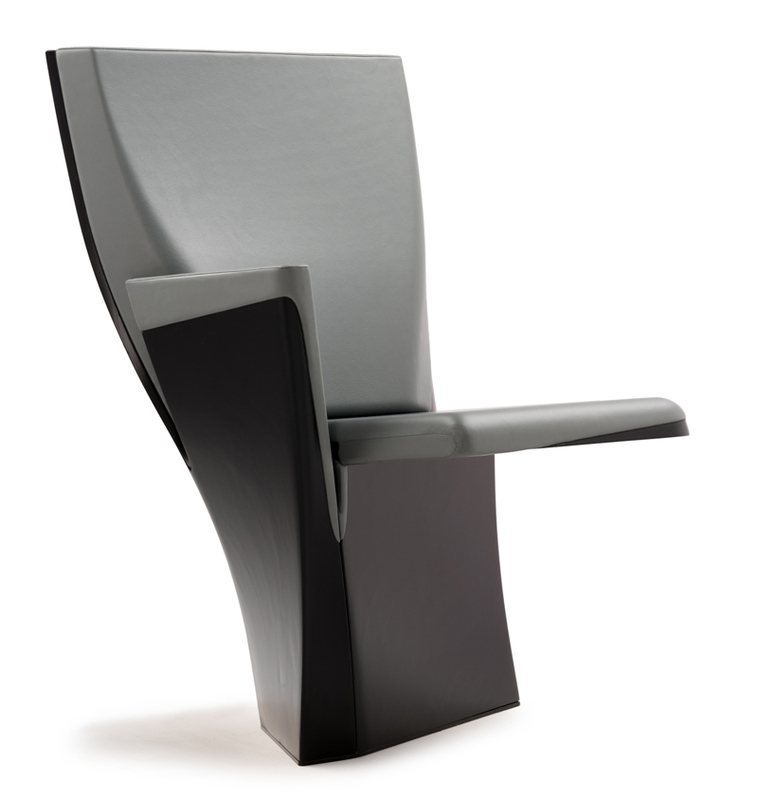 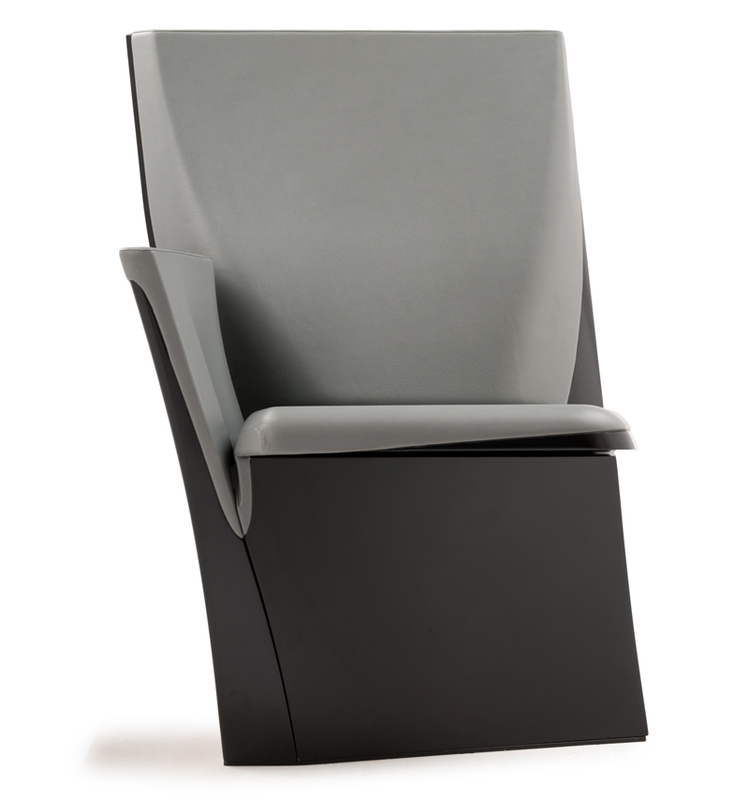 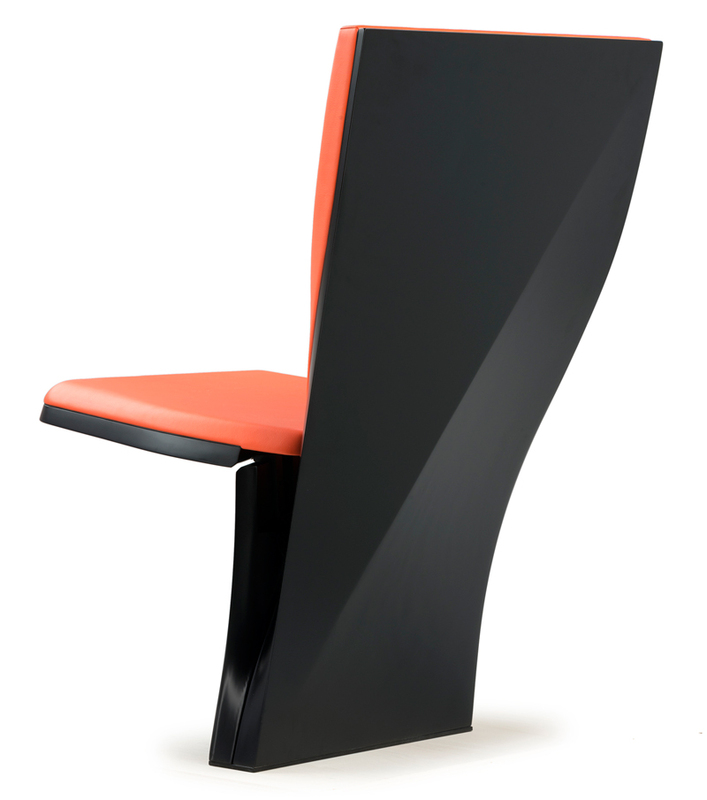 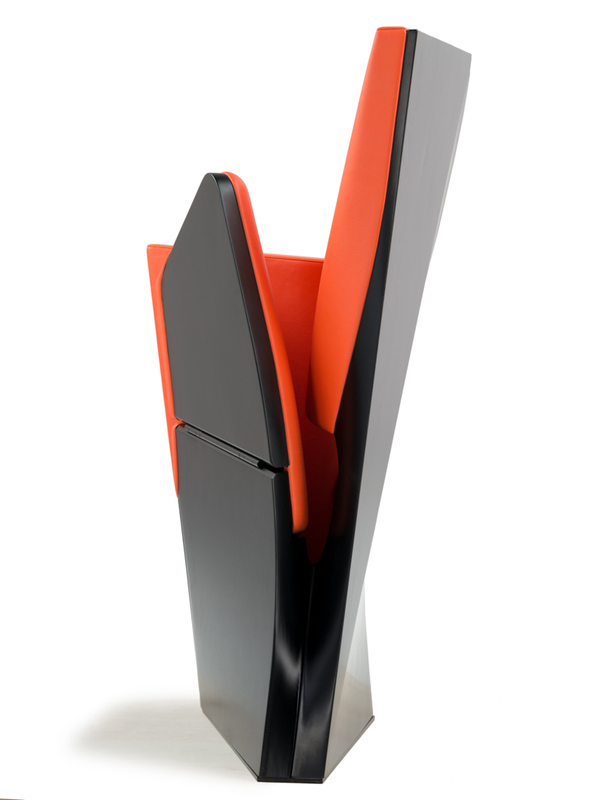 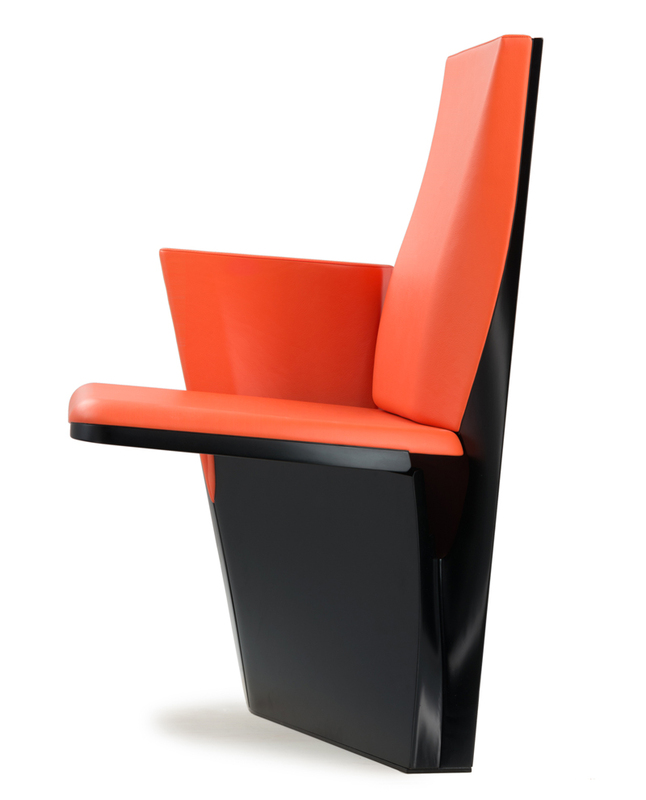 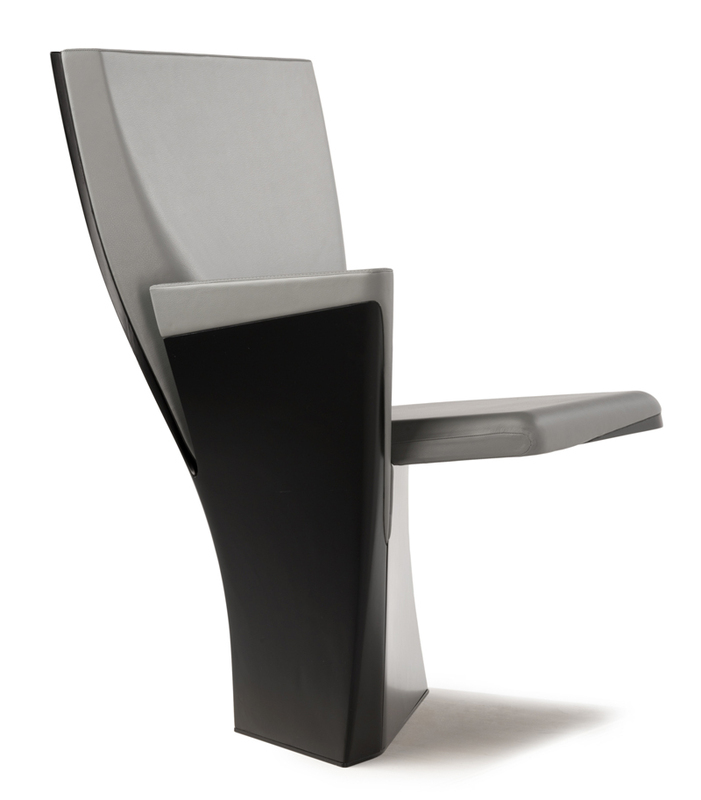 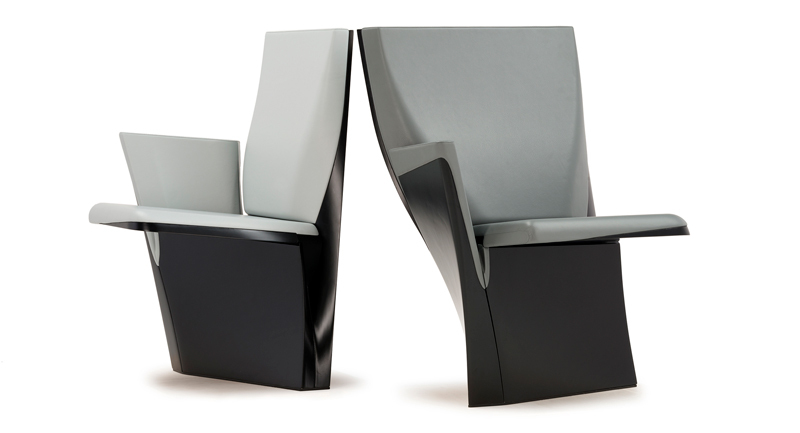 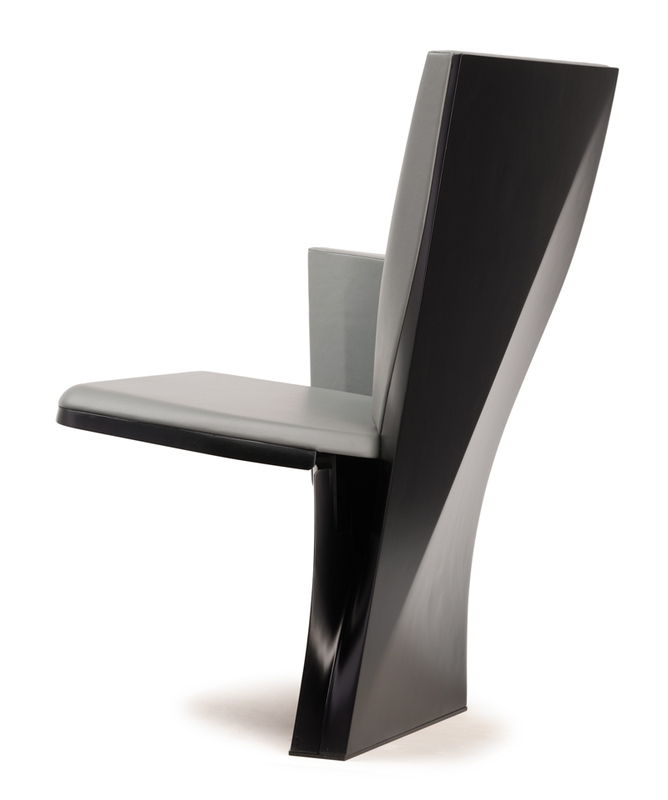 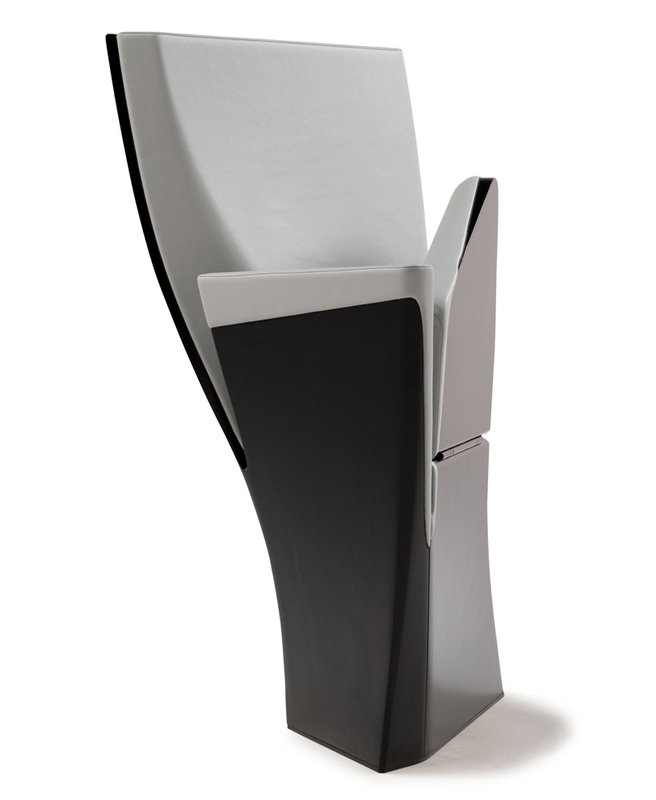 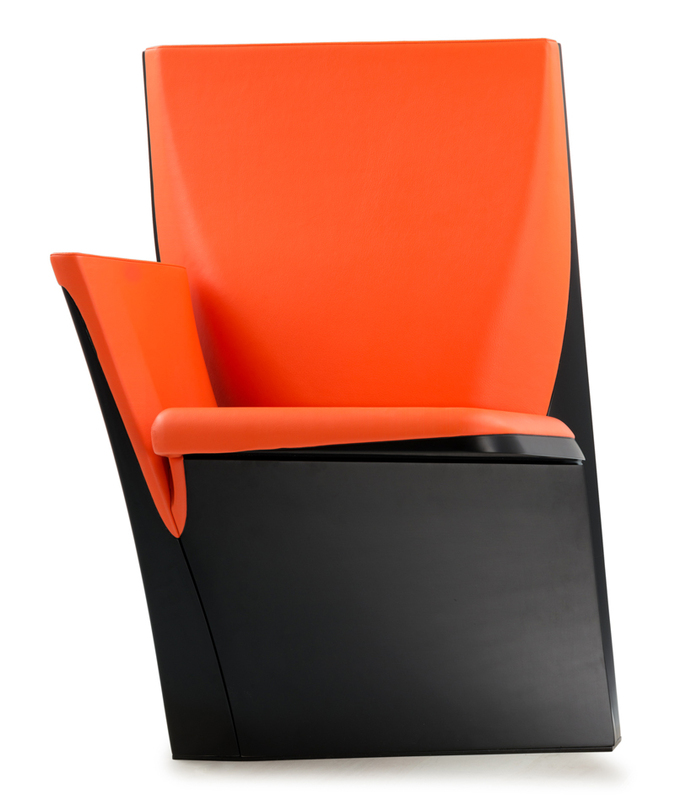 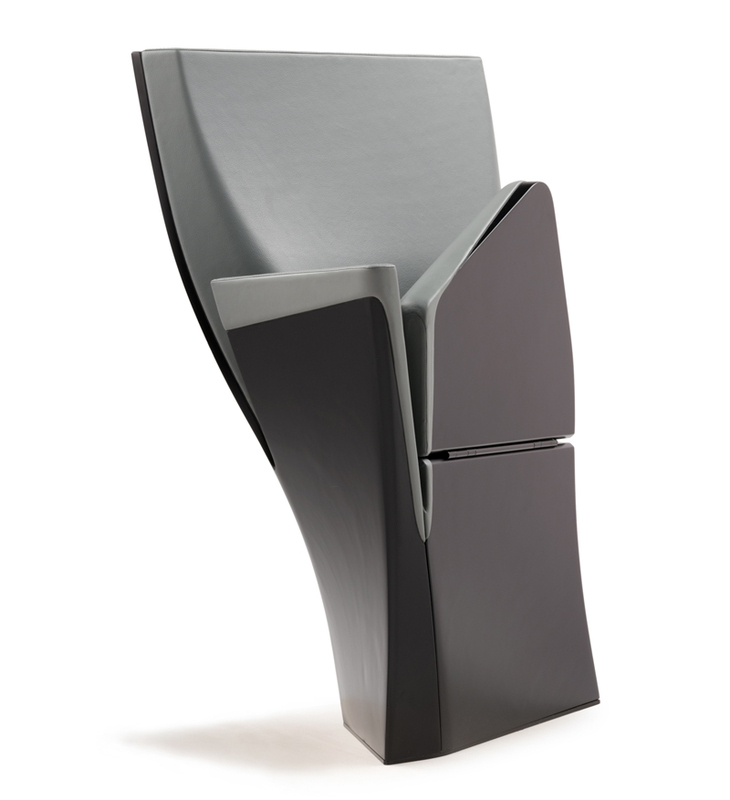 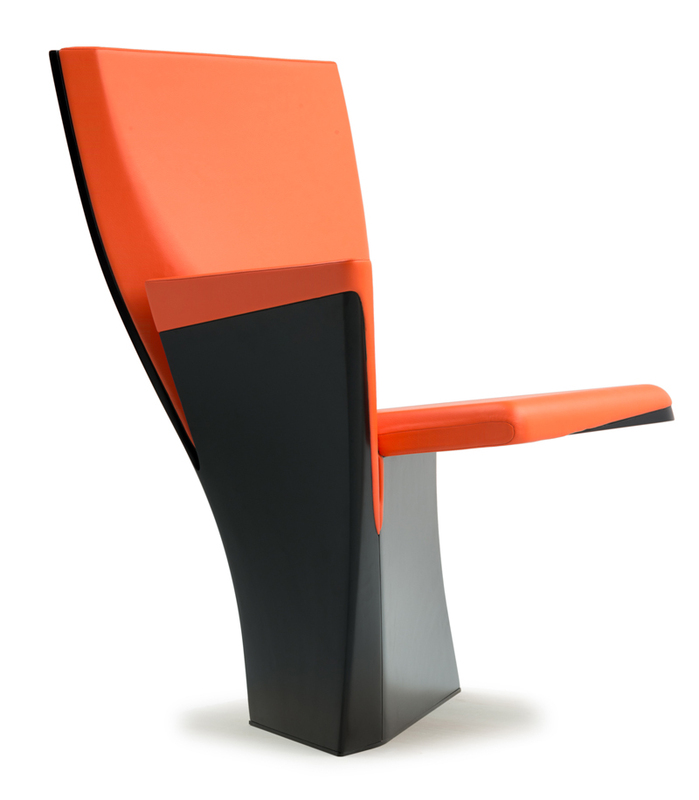 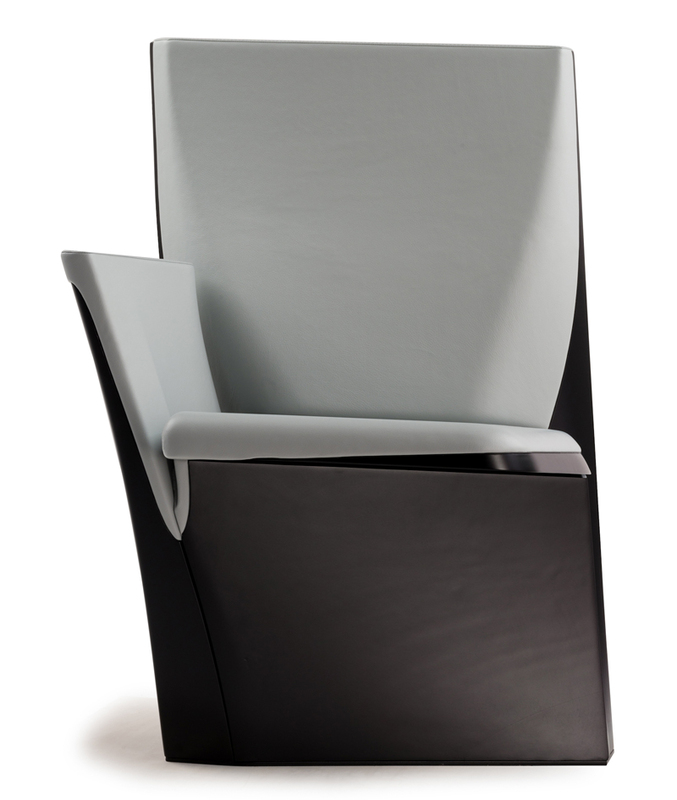 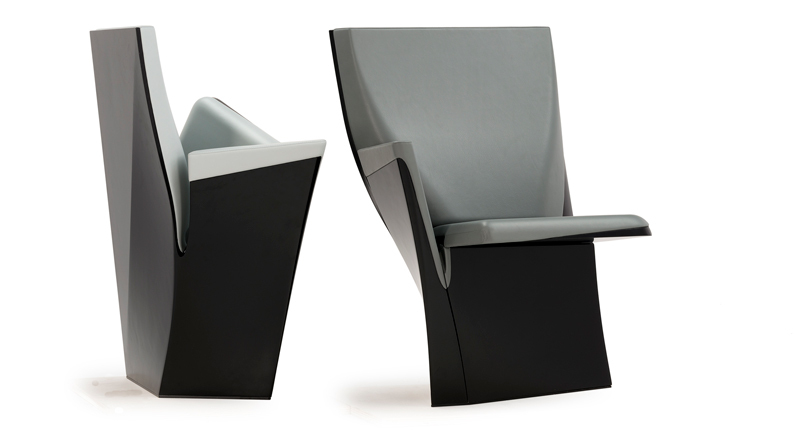 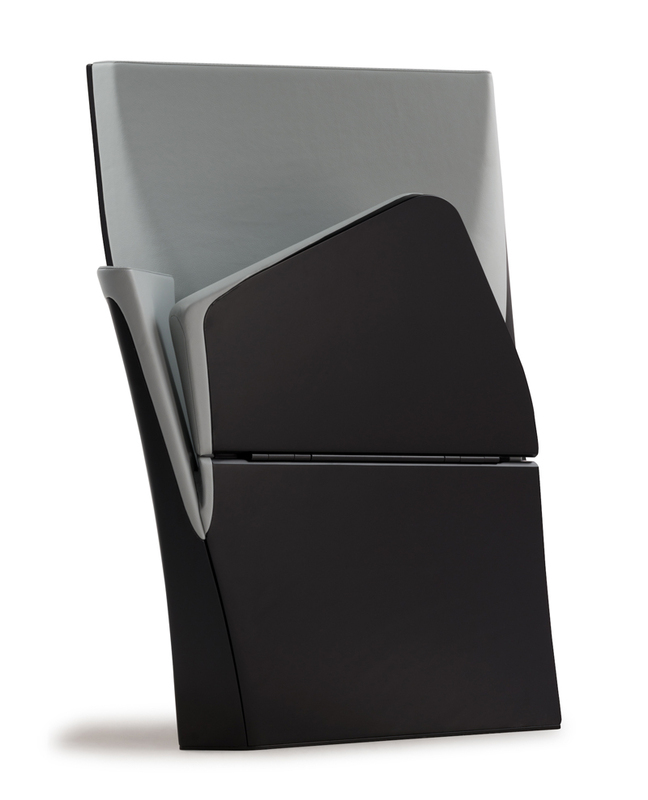 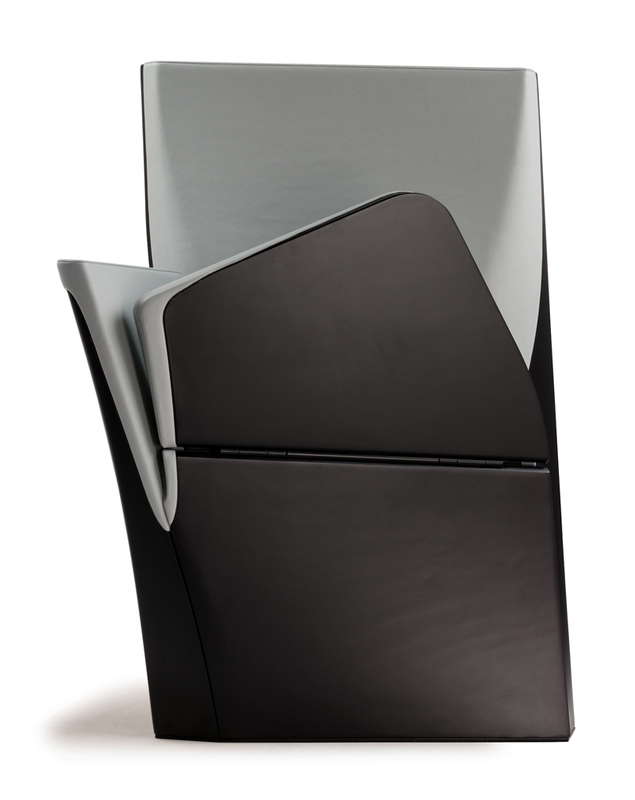 A new concept in seating that combines unconventional shape with ergonomic design and extremely high levels of comfort. 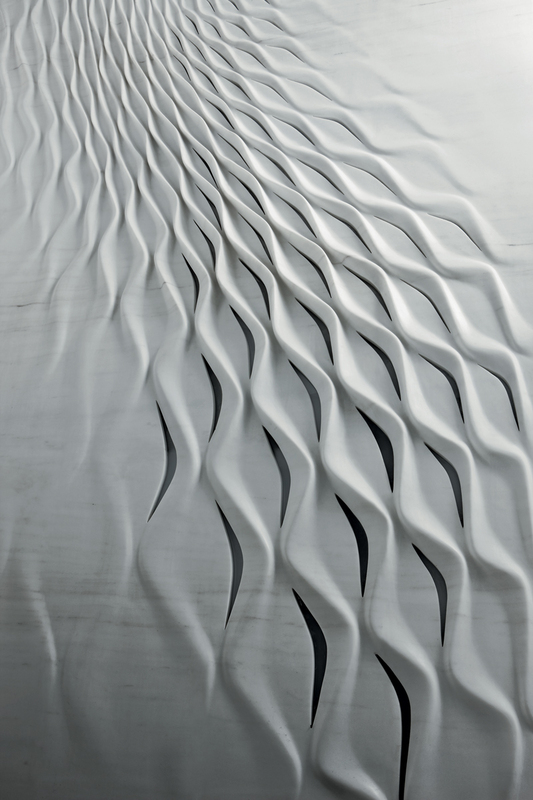 The product is an expression of the consolidated artisanal competence gained in one hundred years of tradition in engineering and technological expertise that is constantly evolving in terms of acoustics, visibility and safety. 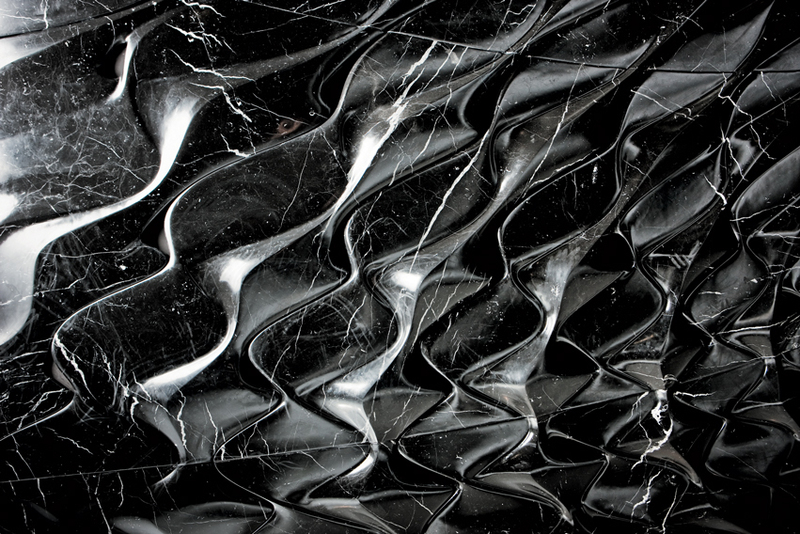 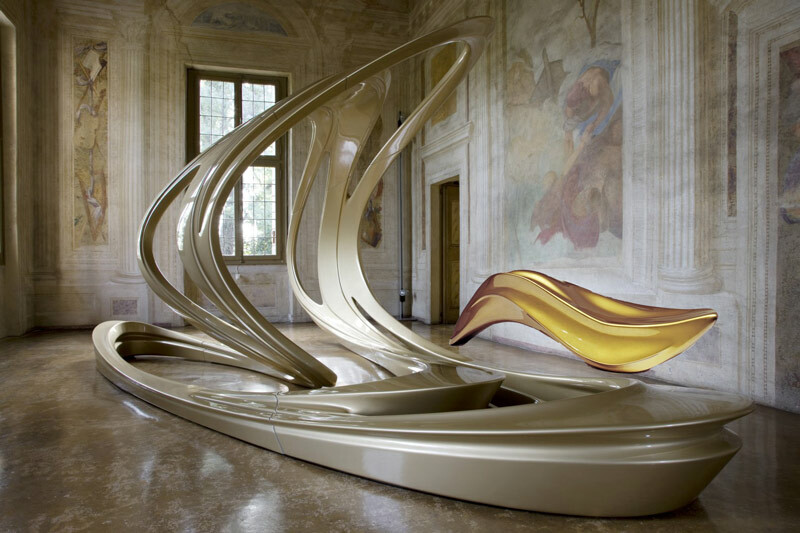 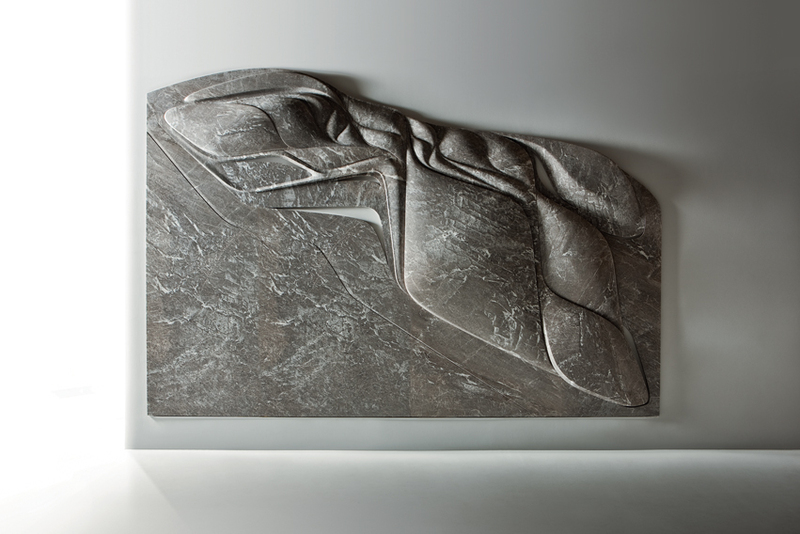 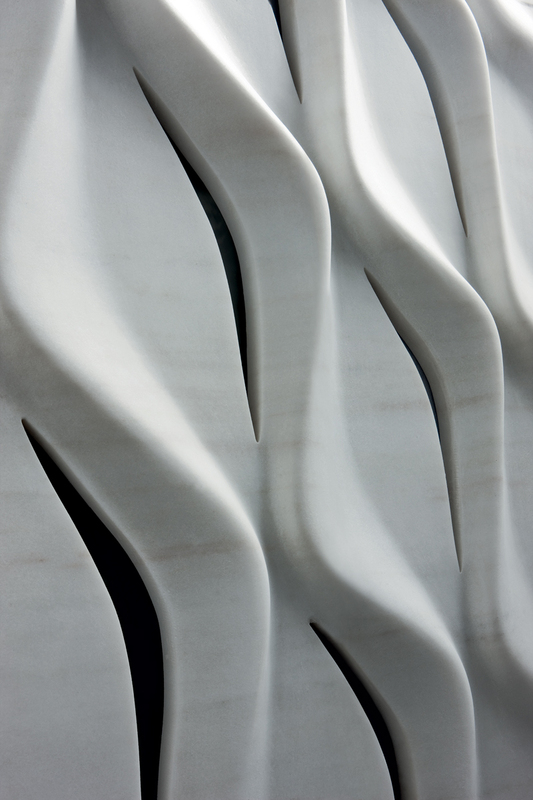 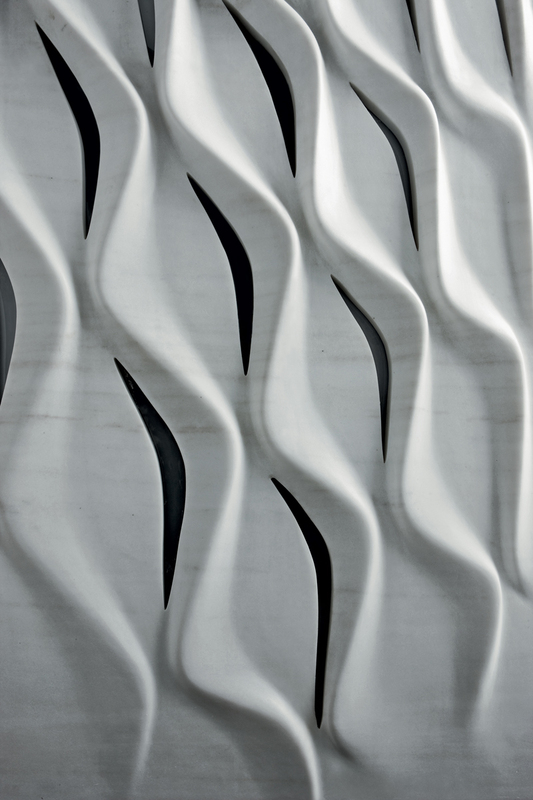 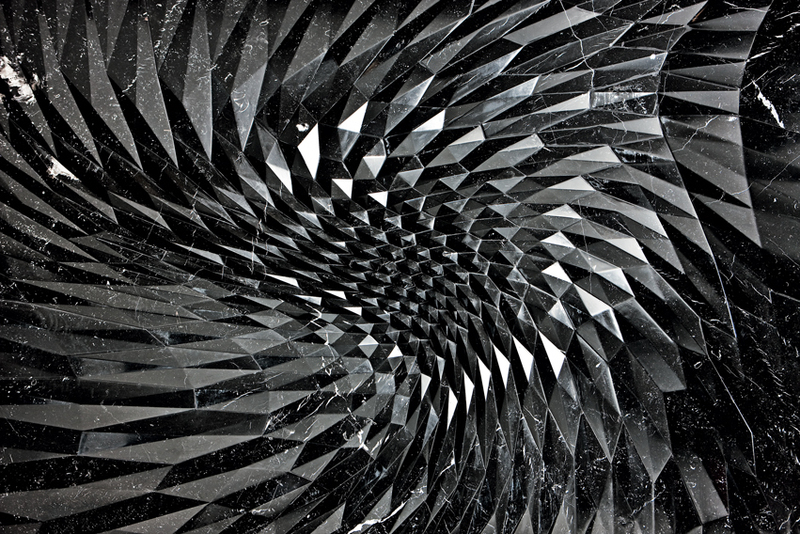 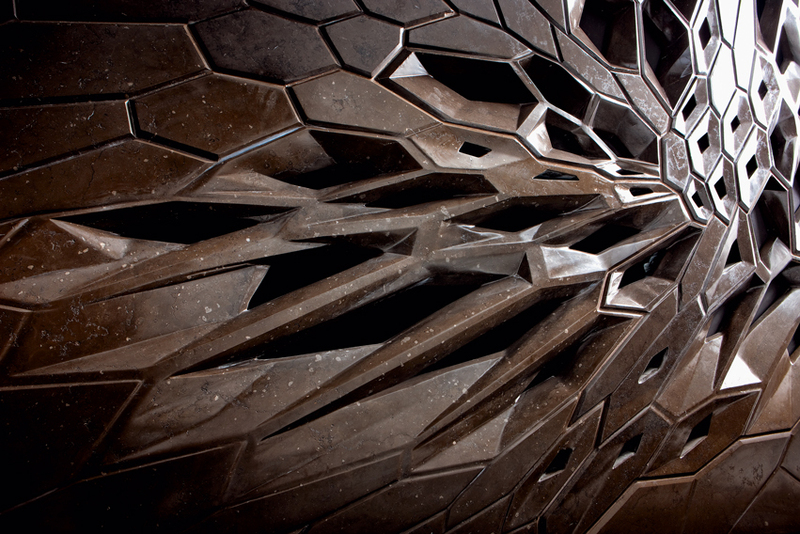 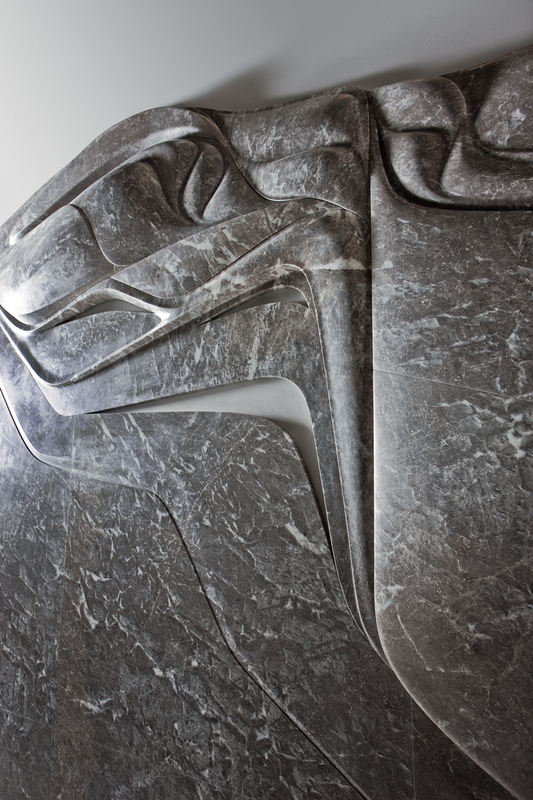 The following collection are a series of six large marble panels based on designs by Zaha Hadid. 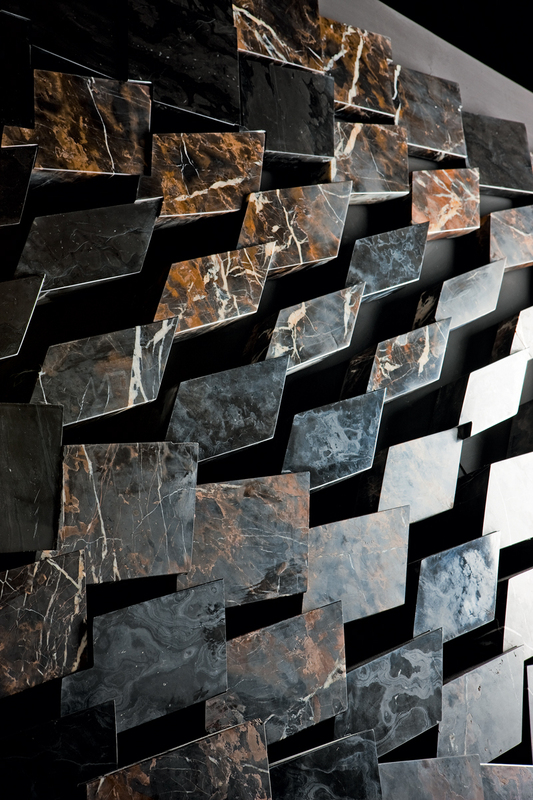 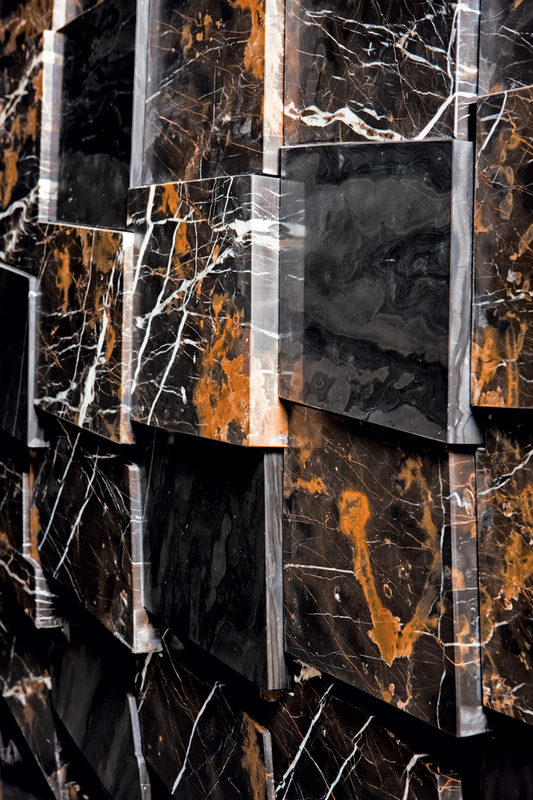 Developed for Citco, the marble and stone sculptures play with neutral tones and three-dimensional, chiaroscuro effete. 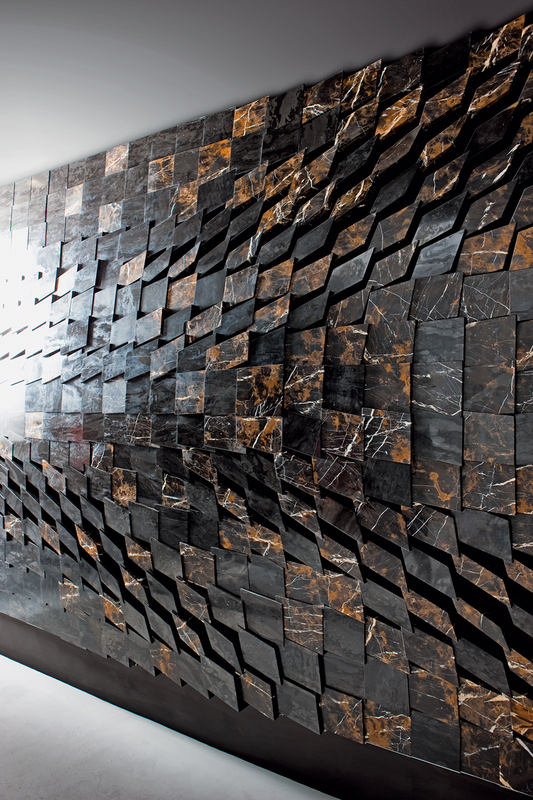 The source of inspiration is based on the geology of the stone itself. 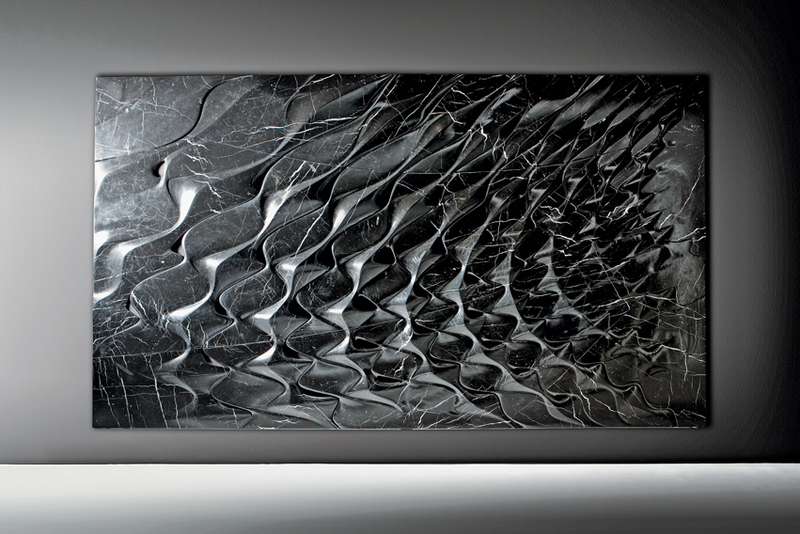 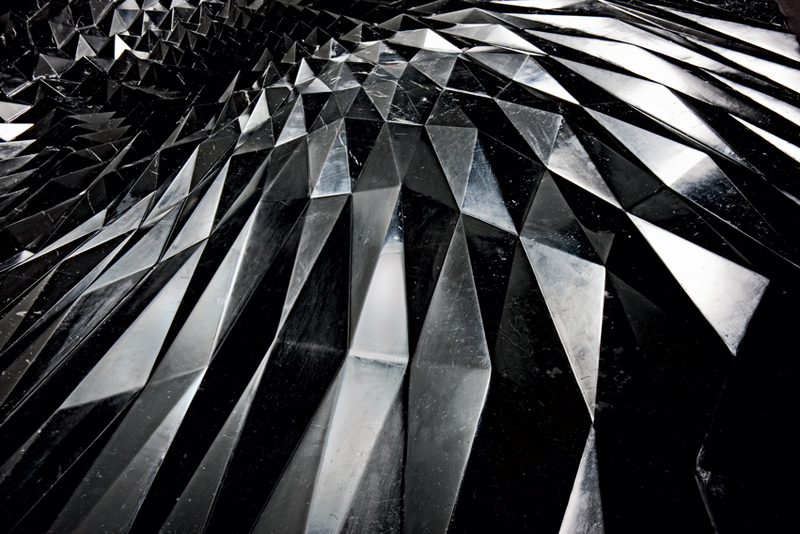 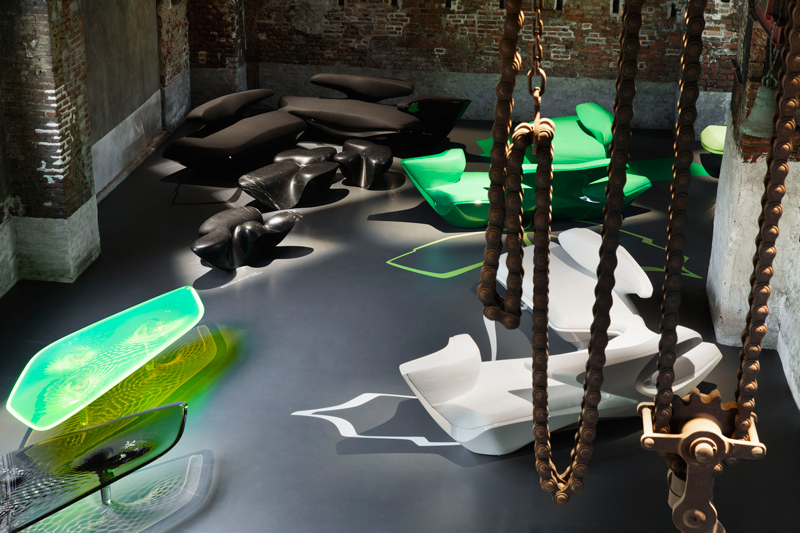 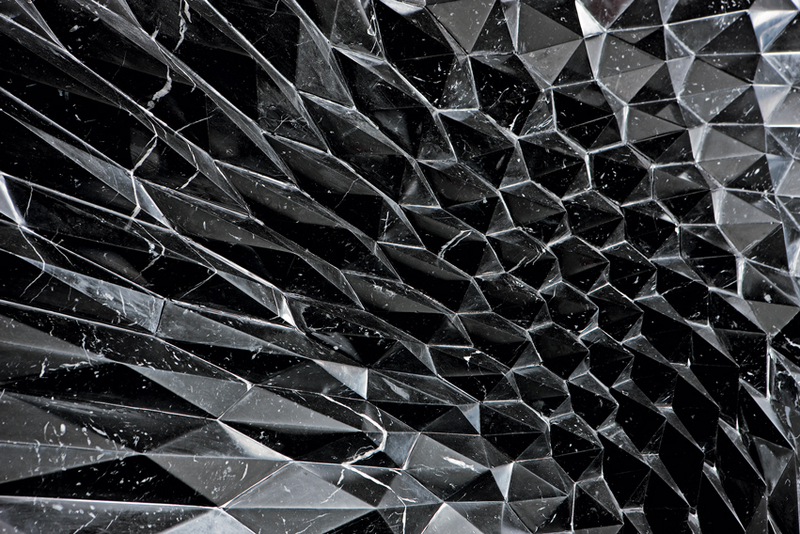 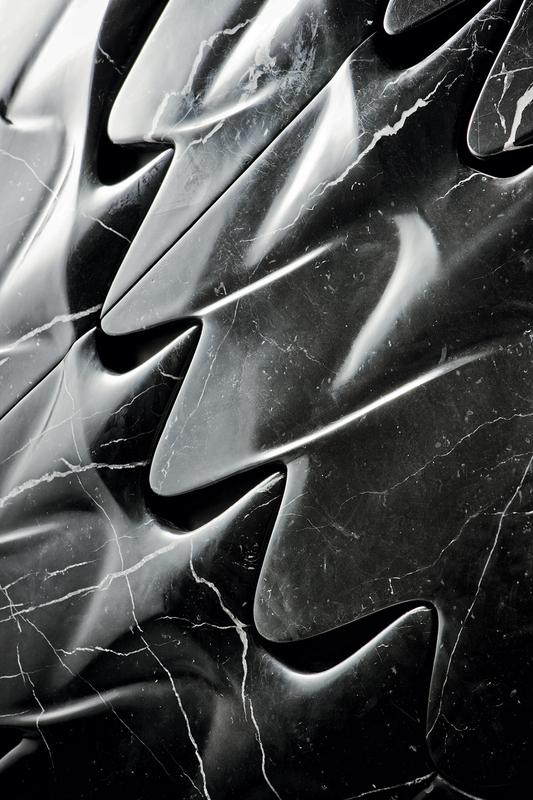 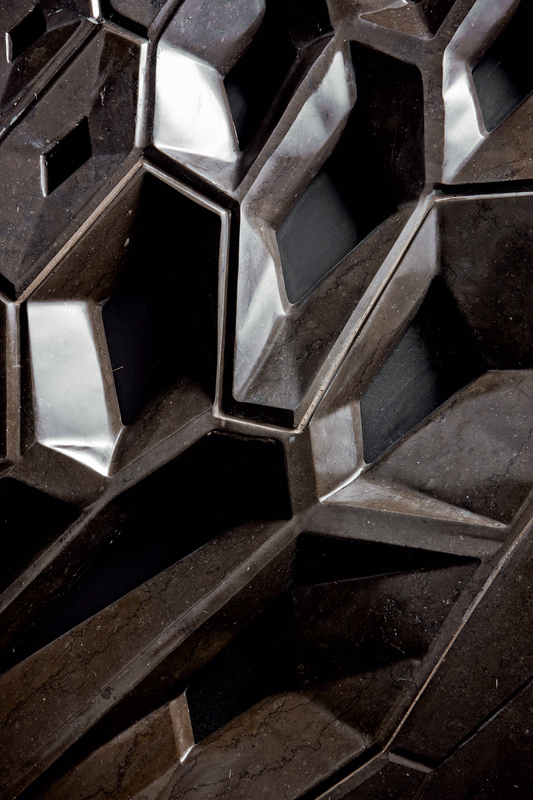 Mercuric Tables by Zaha Hadid for Citco are a reinterpretation of luxury and craft. 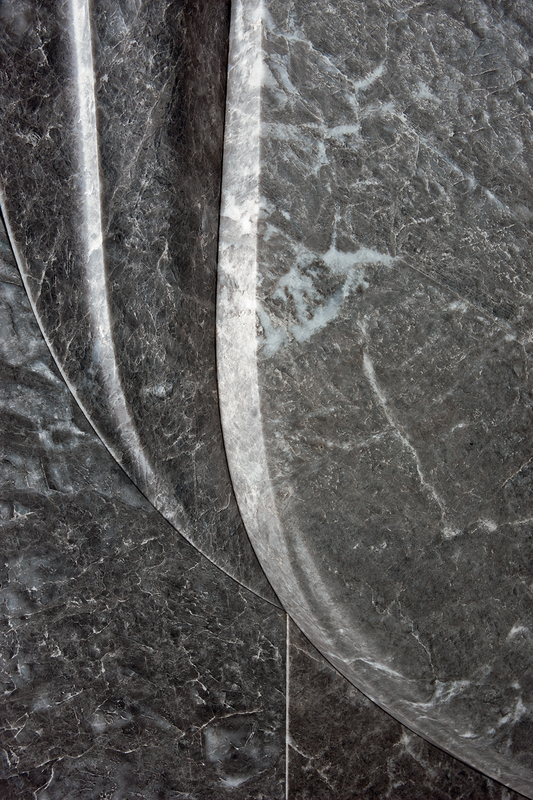 The limited edition collection is a set of three tables made of black marquina and bianco di covelano marble. 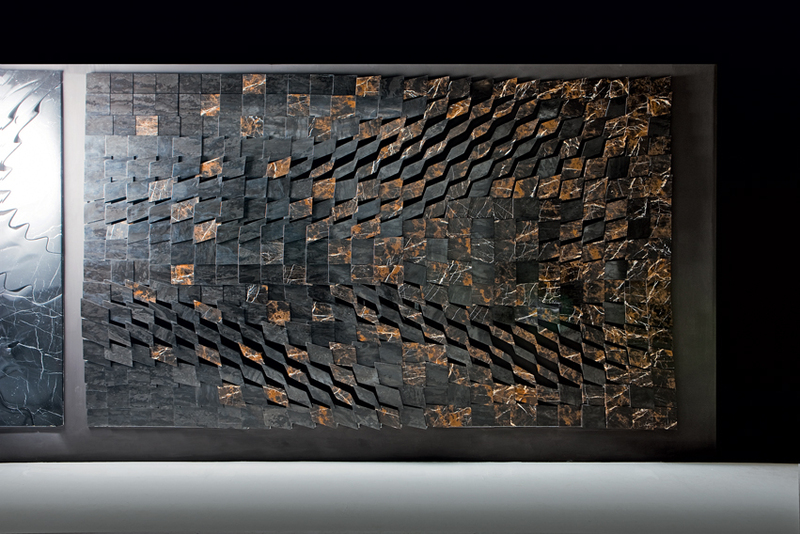 The gold vein that threads itself through the pieces exhibit the strength of the stone and the vigour of nature. 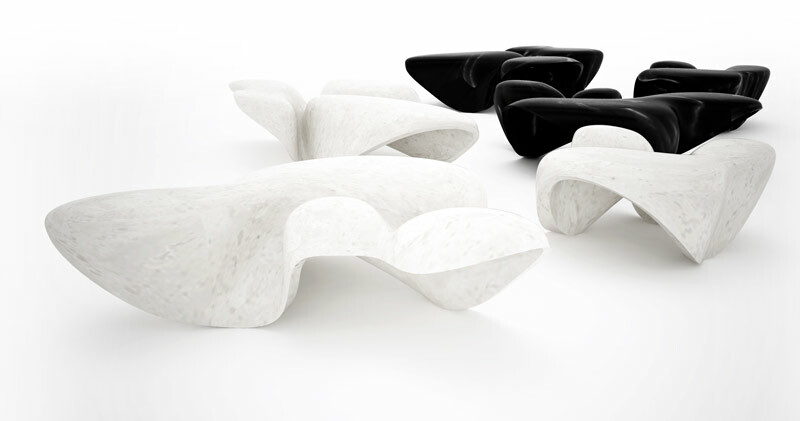 The organic shapes alter our perception of traditional limestone structures offering a contemporary and avant-garde interpretation to furniture. 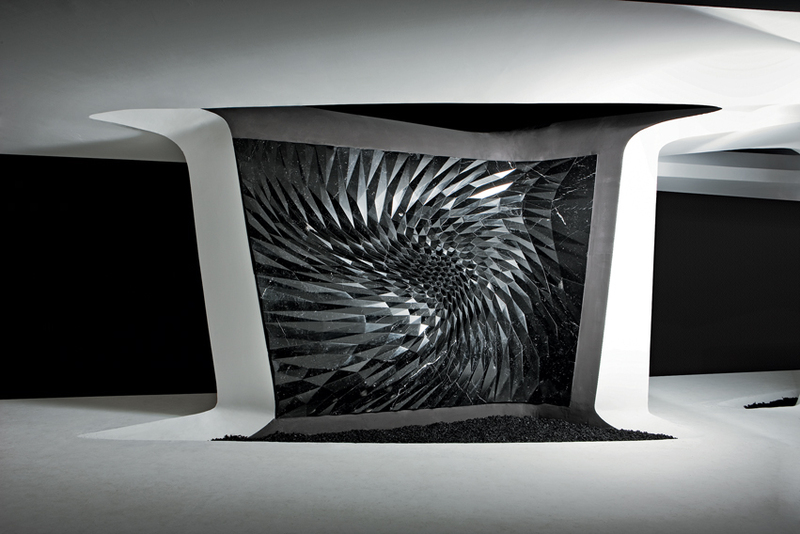 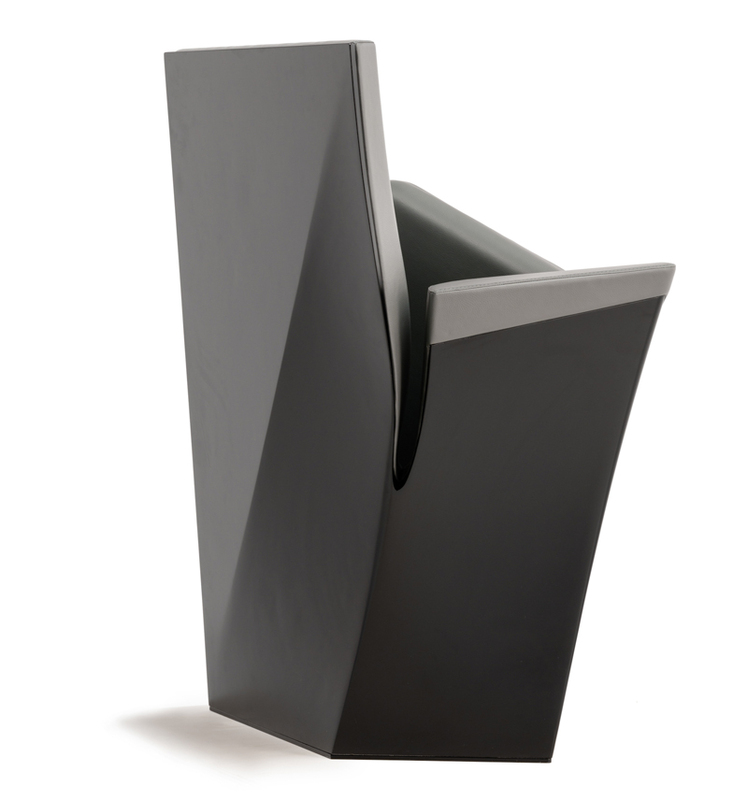 Designed by Zaha Hadid for Established & Sons the Seamless collection is a dialogue to geometry and materiality. 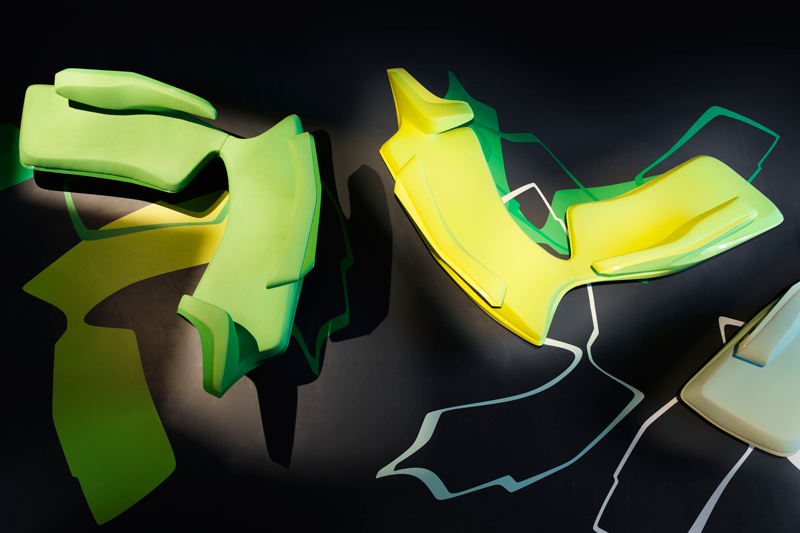 The limited edition pieces are painted in a bespoke polyester colour and finished to the highest standard in a polyurethane lacquer. 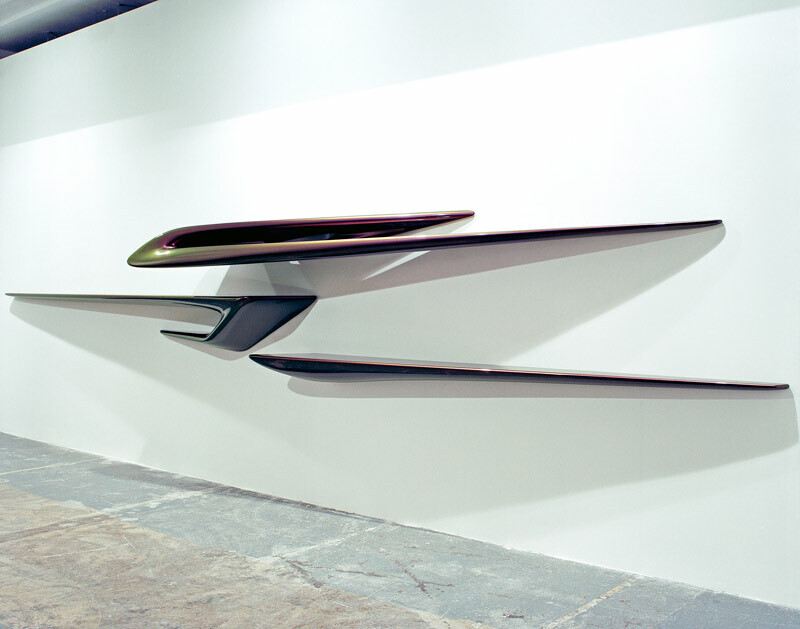 The Serif Shelf, pictured above expands on the architectural language that combines repetition and variation while balancing the geometry and materiality that provokes us to re-invent our everyday spaces. 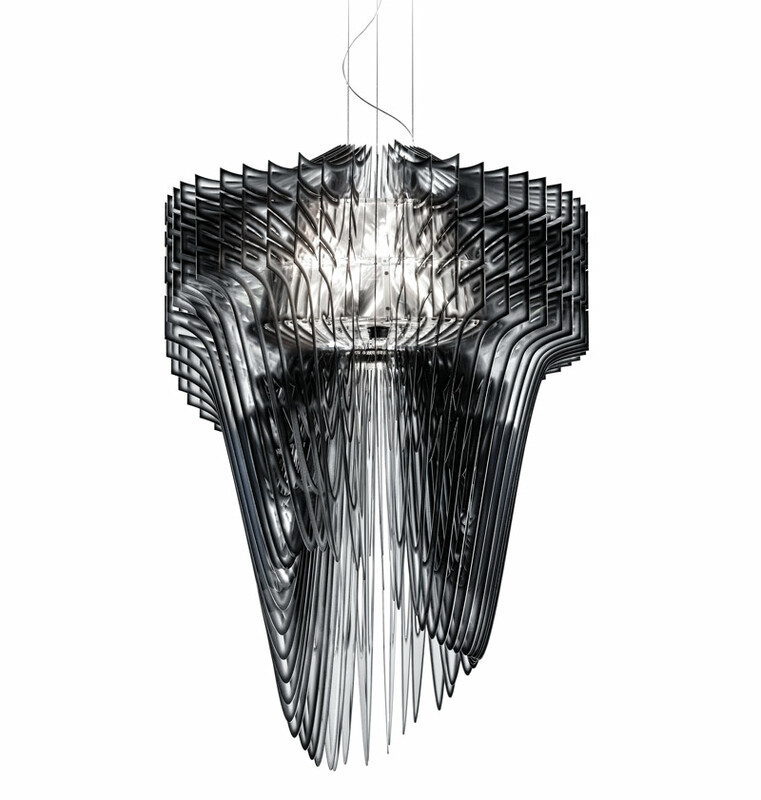 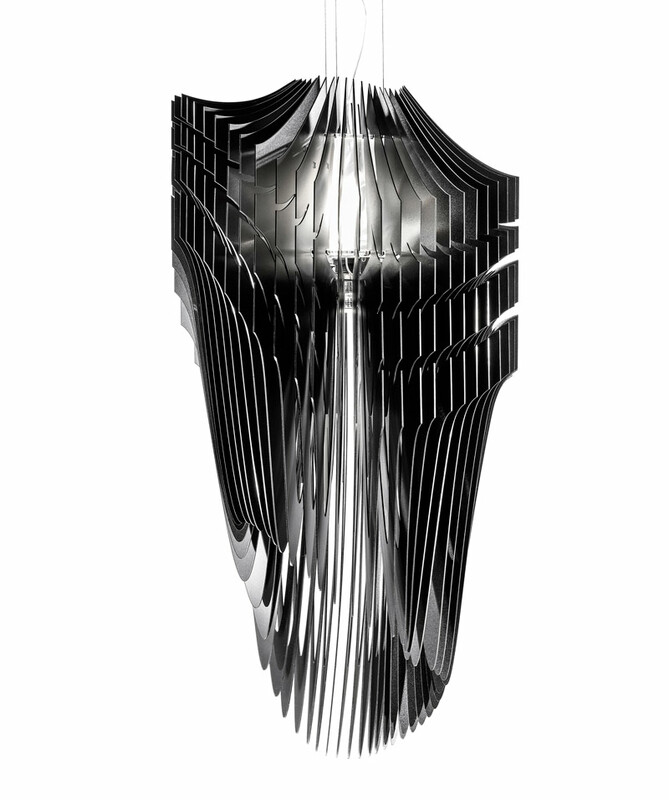 Premiering at this year’s Salone del Mobile, Zaha Hadid has designed two chandeliers for Italian lighting company Slamp. 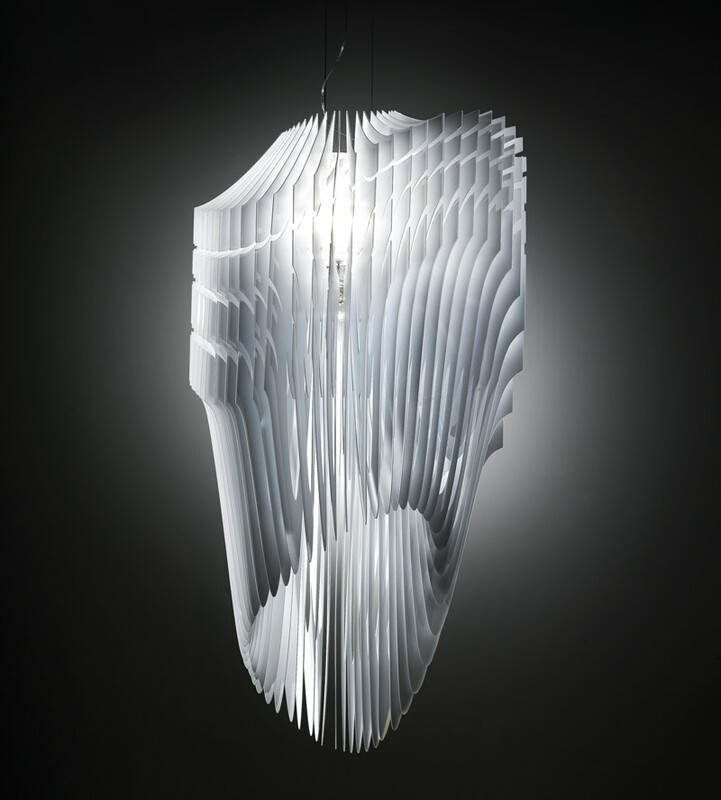 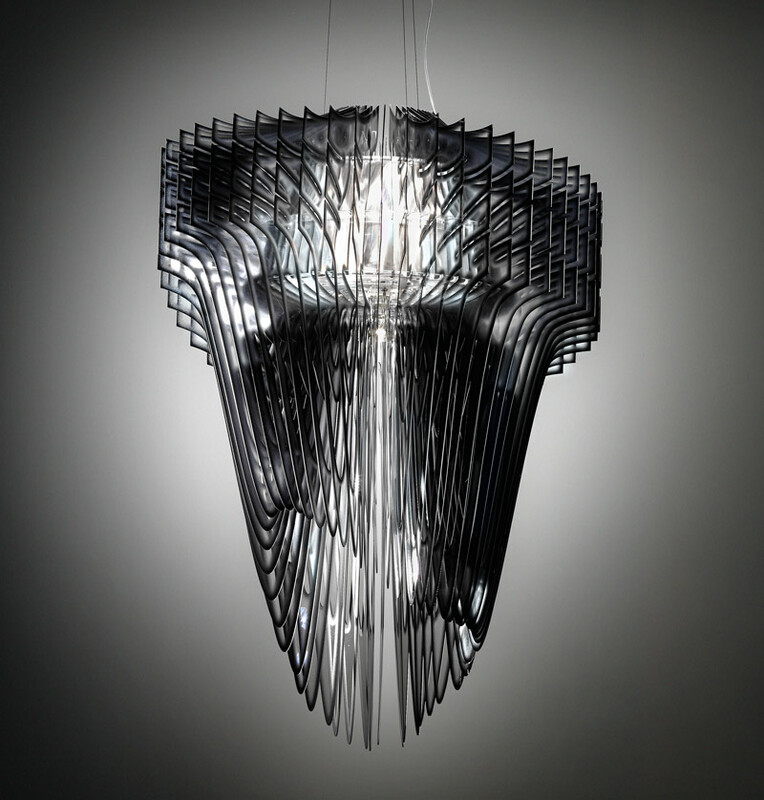 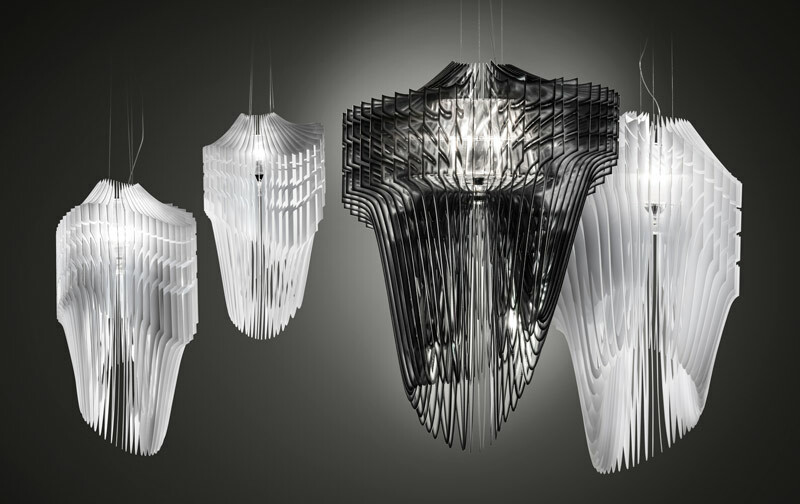 Aria, is a suspension lamp made of 50 layers of Crystalflex®. 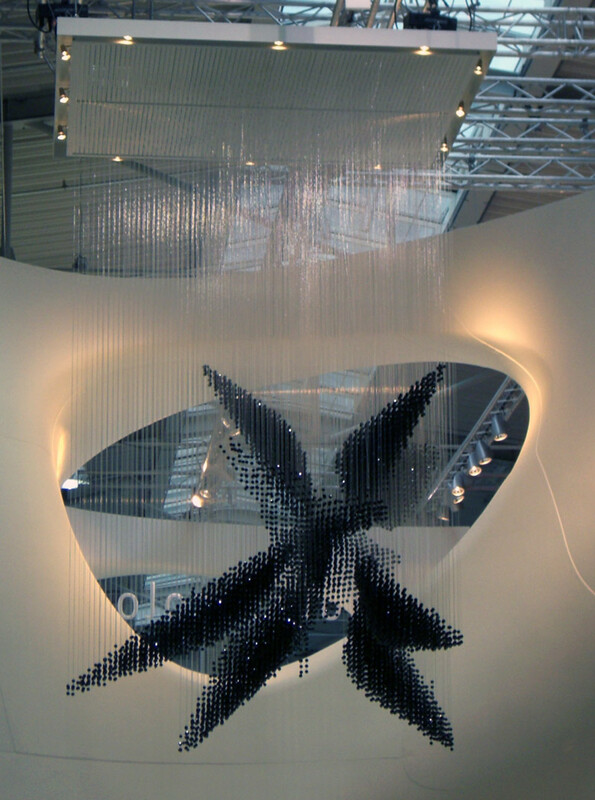 Standing 130 cm in height and 90 cm in diameter, this piece is charged with a dramatic sense of motion combined with a weightless fluidity. 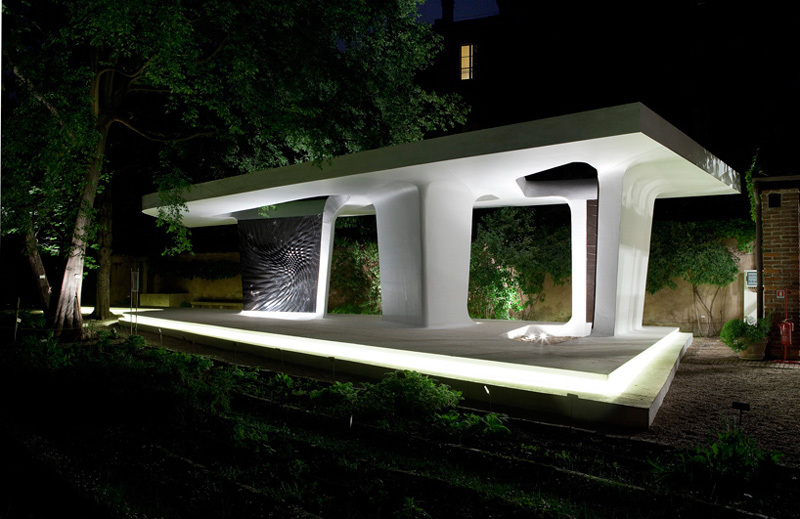 Avia is a miniature piece of architecture. 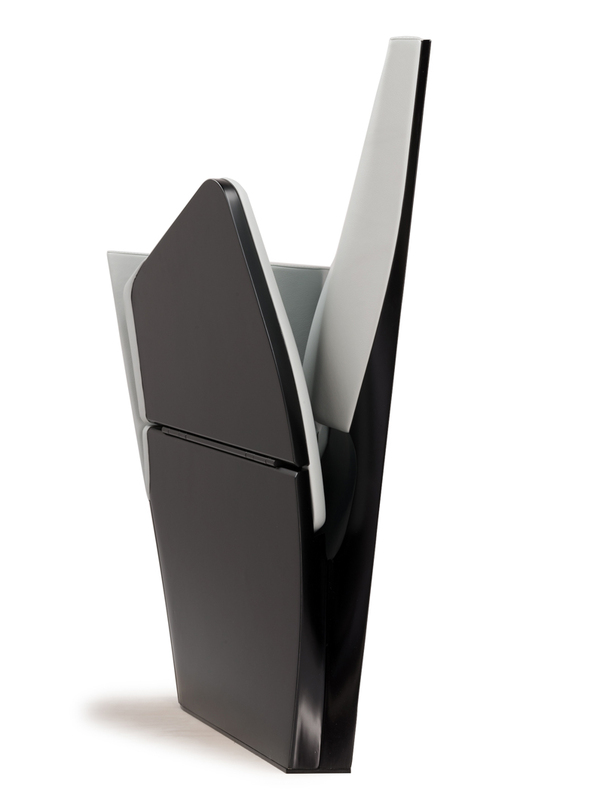 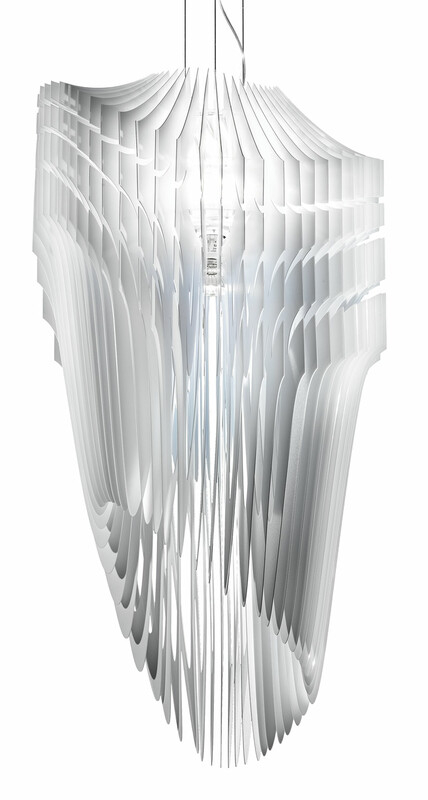 Constructed out of 52 different layers of Opalflex® this lamp is transformed into a source of tones and reflections. 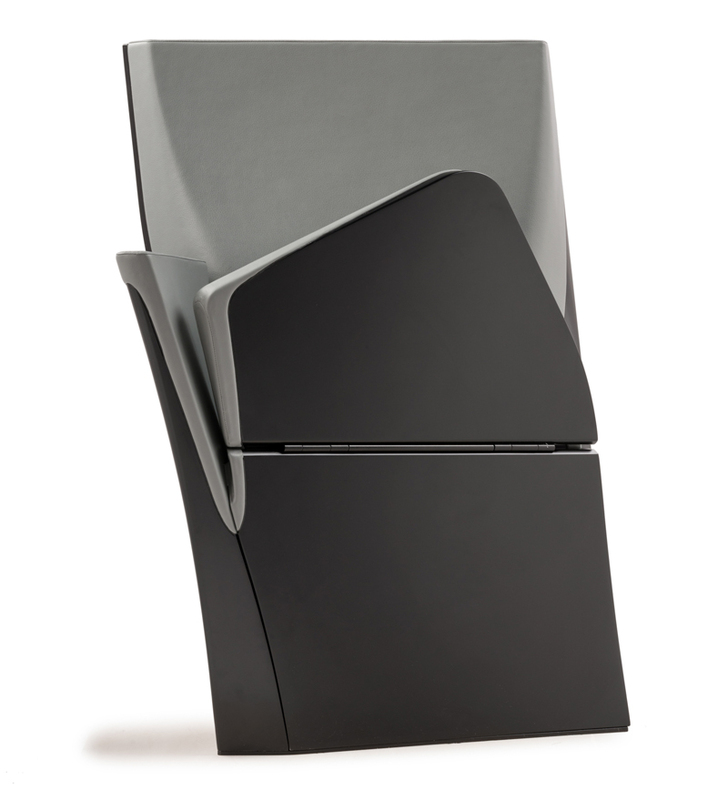 The item is available in four sizes, extra-large, large, medium and small. 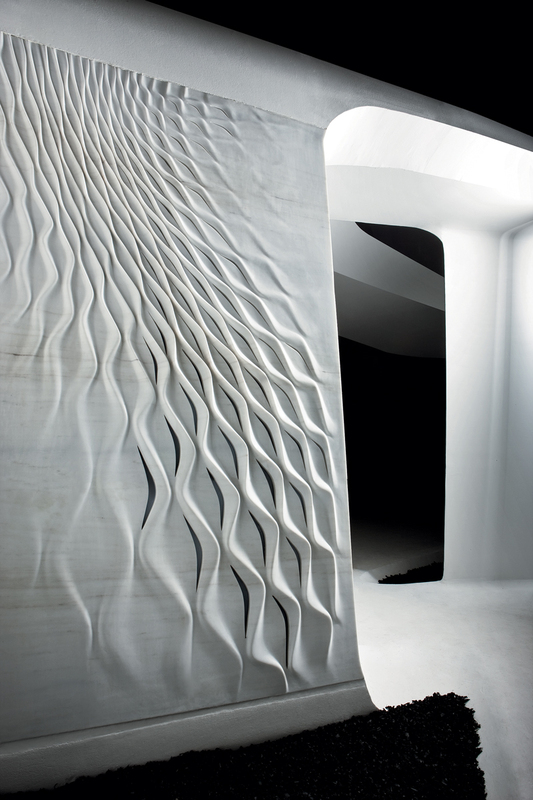 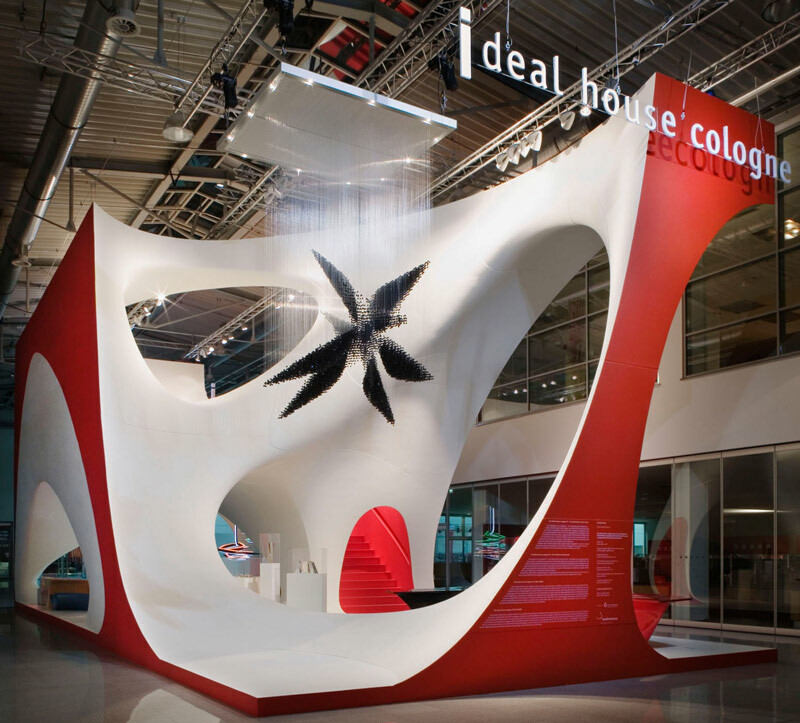 The deconstructed architecture generates a dialogue of geometries with nature that evolves the creative language and exploits the digital design process and production techniques of marble.